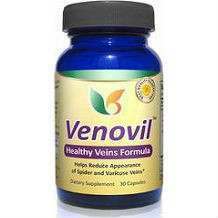 Venovil healthy veins formula is one of the products out there that has been said to treat Spider and Varicose veins. 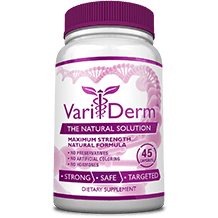 The manufacturers claim that this formula is designed to effectively do away with Spider and Varicose veins. These kinds of veins develop in the body when weakness is experienced in a particular area due to the pressure of stress over long periods of time. Adding weight and being pregnant in women are some of the factors that lead to Spider and Varicose Veins. it is more likely to occur in women than in men, but to date, a huge percentage of people in general are suffering from these conditions in America, 43% to be exact. If left without being taken care of by a health professional, these conditions worsen and as a last resort, people are left with no choice but to go under the knife to help rectify them. By then, they may have developed into secondary conditions which include bleeding and ulcer in the legs. The good news is Venovil Healthy Vein formula is one of the products that can help treat Spider and Varicose veins. There is no defined dosage recommended for Venovil on their website. When you manufacture a product, the least you can do is outline how it should be consumed or handled. There are no listed side effects for the product Venovil Healthy Veins formula on the website either. Slowly but surely, you start losing faith in the product as a consumer. You should however, seek medical advice if you should decide to use this product. The pricing for this product is valued at forty seven dollars and ninety five cents. This is for every bottle with thirty capsules in it. Again, there is no outlined longevity for the product. Guarantee is always a plus and it puts faith from the manufacturer to the consumer about their product. Venovil offers a guarantee. They offer a sixty day guarantee. Venovil Healthy Veins Formula is clearly a product that is used to treat Spider and Varicose veins. However, a lot of things are lacking in this product; from no side effects to no information on dosage, this product leaves a lot to be desired. There should be complete elaboration and transparency from the manufacturer and they should not leave the consumer to speculate on anything concerning their product. It is not convincing enough when manufacturers want the consumer to take their word for it. FDA backing and seal of approval is necessary to attain total confidence the vast, competitive market out there.